It's music festival time again with Glastonbury kicking off proceedings this weekend so what better way to celebrate than by putting on a Music Festival, which is what Paddy Power Bingo have done. Each night over the weekend Paddy Power Bingo has £1000 to be won in their special 9pm Music Festival Bingo Linx games in the Gold Room. The full house winner gets £700, the 2 line winner gets £200 and the 1 line winner gets £100. Tickets for this bingo game are a bargain at 10p each so why not treat yourself to a few? Then tomorrow there's £10,000 up for grabs in the Super Bingo Linx game which plays on the last Sunday of the month, every month. The game begins at 10.30pm in the Gold Room and there's £7000 for the full house winner, £2000 for the 2 line winner and £1000 for the 1 line winner. Tickets cost 50p each and can be pre-bought now if you're not about tomorrow. New players get a free £20 welcome bonus when they deposit and play through £5 on bingo games. 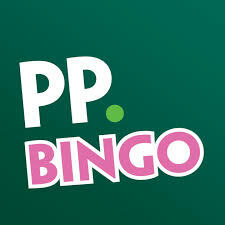 That's not bad going and there's not that many bingo sites that will let you deposit as little as £5 either which means even when you're a bit strapped for cash, you can still play at Paddy Power Bingo.